Residents of a Mullaitivu village observed Thai Pongal at the site of their almost year-long protest for the return of their lands from the Sri Lankan Army. 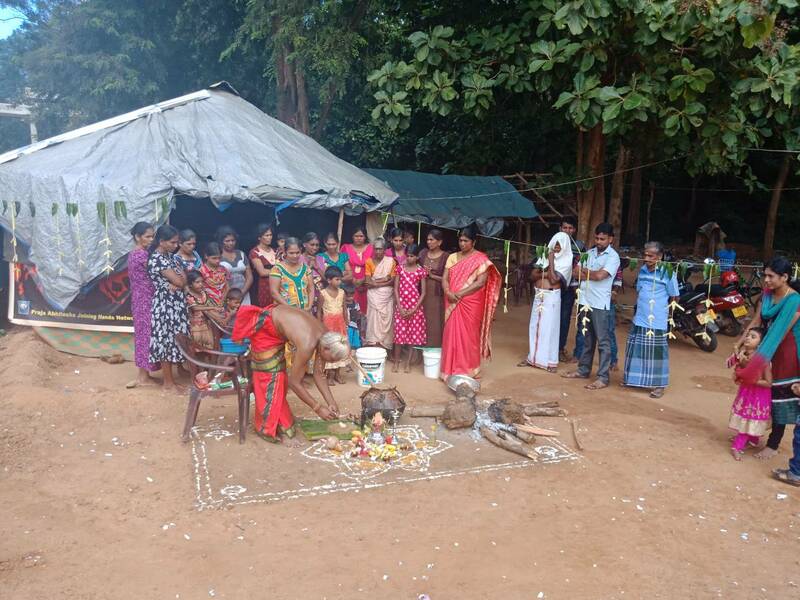 Keppapulavu residents set up the traditional pongal pot in front of a shed adjacent to the army camp, originally erected as a short-term shelter for the protesters, but which still provides refuge for the ongoing protest. While some 133 acres of land was officially handed over to the district’s government agent, the landowners still have not gained full access to their properties. Many protestors still have not had their land marked for release and have continued with the protest, with those who have had theirs returned also continuing in solidarity.